At the heart of every nonprofit is a story. Inspired by an idea, born from a moment, and created from experience, your nonprofit’s story is the foundation of your organization, and the platform from where you drive donor engagement, cement community involvement, and generate measurable change. 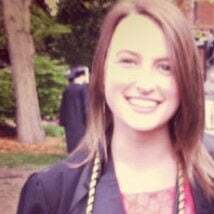 For many nonprofits and their nonprofit websites, the intuitive approach would be to tell their story in the nonprofit about us page, where visitors go to learn about a nonprofit. It’s comforting to believe that if you follow a predetermined, logical protocol, people will learn about your cause on your nonprofit website, and want to support its cause. However, this couldn’t be farther from what you should be doing. As we continue to progress in the digital information age, donors are becoming more easily distracted. 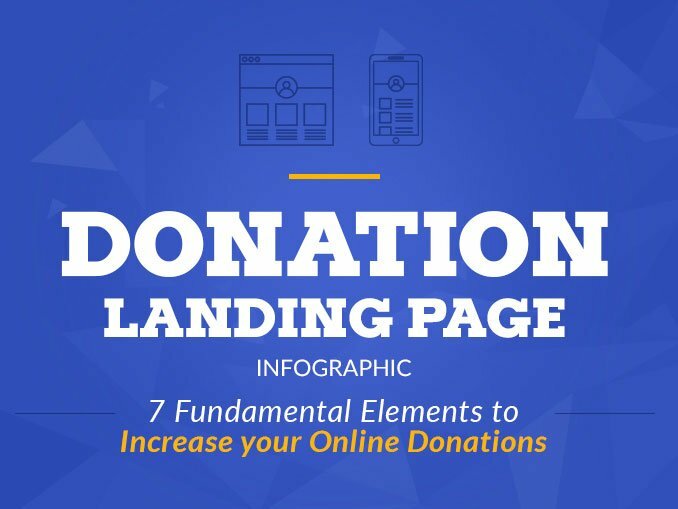 In order for them to make a charitable investment in your organization, they want to see the bells and whistles on your nonprofit website, an out of the box approach that grabs their attention and maintains it. More and more, it’s becoming an essential for nonprofits to not only articulate their story with powerful language, but market it in a way that makes people want to continue reading, eventually persuading them to take action. 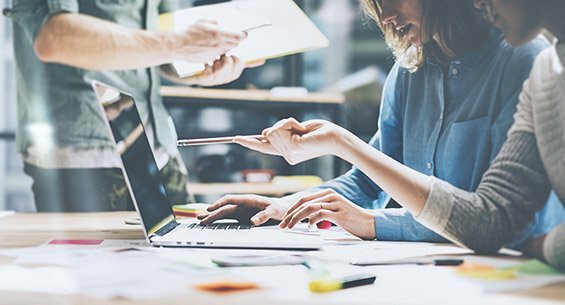 If you’re just beginning to scrape the surface of a content strategy for your nonprofit website, or are now realizing the necessity for one, look no further than these 3 essential tips to get you started on your way to producing quality content, and generating quantifiable change. Stay tuned for part II next week! At the root of any well-thought content strategy is a solid understanding of the fundamentals of communication. Where will you be producing and publishing content and how? Take note that content writing doesn’t just apply to your nonprofit website, but in fact, it covers everything from a 70 character Twitter post to a white paper on a popular topic related to your nonprofit to the newsletters you send on a monthly basis. You should be taking into consideration social media channels, multi-platform distribution (in print versus online), and how you will continue managing your constituent relationships both current and future. Once you’ve grasped the fundamentals, you’ll be ready to start writing. 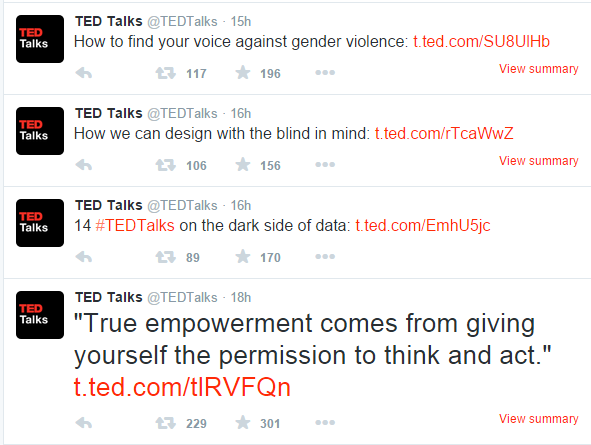 Check out Ted Talk's Twitter page. We all know Ted Talks produces some amazing, quality content videos, and their social media strategy is just as great. Who is visiting your website? What type of individuals make up your newsletter subscription list? What’s their age demographic, genders, professions? How do they interact with your site? Nonprofit websites with compelling content should be able to answer all of these questions without hesitation. Know your audience and how they interact with your nonprofit’s web content is valuable information. Whether it be government officials, generous donors, local business, or even beneficiaries, you should choose an approach that best suits the people visiting and interacting with your site. Some people want to see their “return” on their charitable investment, meaning, they’re best captured by numbers, statistics telling them where their donation will be allocated. Others could be motivated by beneficiary testimonies. The only way to find out is through in-depth analysis that may take some work on your end to gather, but a well-worth strategy in the long run. Check out One's incredible landing page for it's "Take Action" CTA. Usually, when we talk about “action compelling” elements of a nonprofit’s website, we are referring to the call-to-actions. 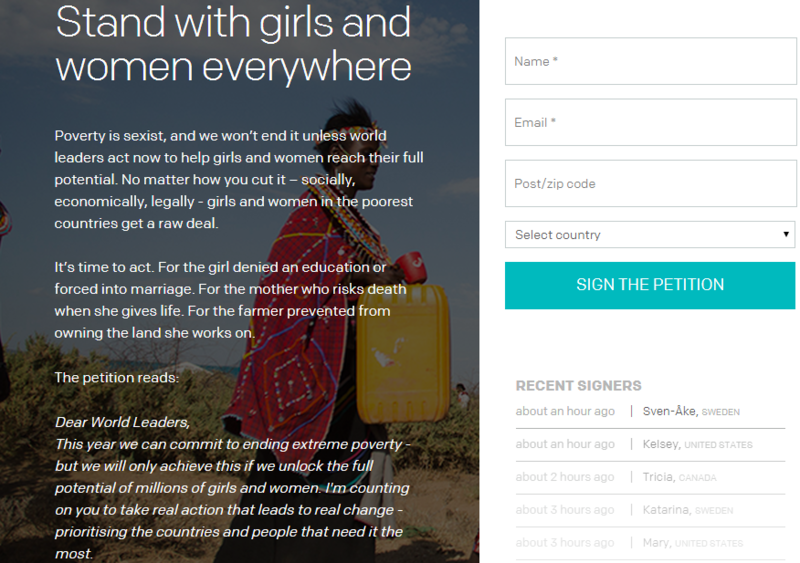 The “Donate Now”, and “Get Involved” buttons that compel your audience to take action. However, you shouldn’t save this type of language just for the CTAs, and here’s why. Action-compelling language communicated across all areas is a golden opportunity to tell your audience to come back and continue supporting. Whether it be daily Tweets, weekly newsletters, or text to accompany a donations landing page, those platforms allow you to tell your story with actionable language converting one-time donors into long-term supporters, and solidifying a strong community around your cause. Check out Water for People's inspiring home page that encourages visitors to keep on supporting. Get started on creating or re-energizing your nonprofit website's content strategy with these 3 tips, and stay tuned for Part II to be published next week! As always, share your thoughts!